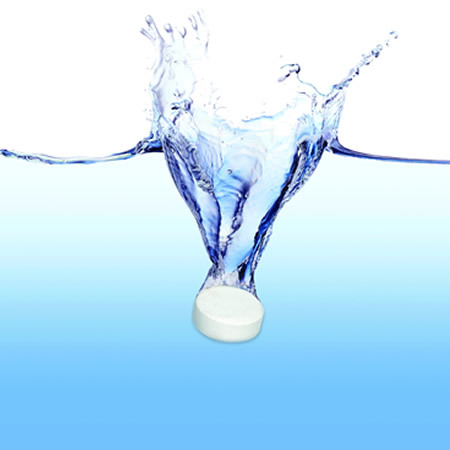 Tablets offer simple and fast set up for treating potable water in dewatering and flushing applications. 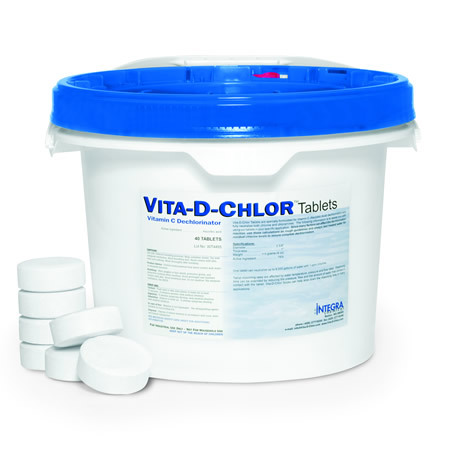 The dechlorination hardware on this website limits the volume of water that passes over the tablets, allowing them to dissolve slowly and dose a larger volume of water. 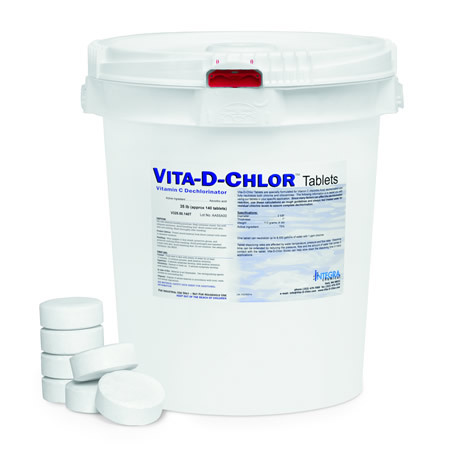 Most of these devices were developed for the use of Vita-D-Chlor tablets and dose at rates for treating volumes of over 200 gallons per minute with chlorine levels, generally up to 5 ppm. Dissolve rate: Approx 2.5 grams/min in a 5 gpm stream.